The PianOrquestra, after 10 years in a successful career, presents their new project: DVD “Multifonias” DVD. The concept is based on our multifaceted music, multiple rhythms, identities, known artists and new composers, with different musical backgrounds and influences. The recording of the DVD took place at Sala Baden Powell, at Copacabana. It united instrumental music made by “ten hands and one prepared piano” to established voices of brazilian singers and new talents like: Teresa Cristina, Monica Salmaso, Mariana Baltar, Manu Santos and Maíra Freitas. The show combines elements of dance, theater, visual arts and technology combined with high performance level, and is the result of two years of intense research. The result is an unprecedented and innovative musical formation, looking for the new paths at the MPB (Mrazilian Popular Music) universe, as well as it is a tribute to the centenary of John Cage and Ligetti. The visual design of the project is by Batman Zavareze and the movement direction is our dear partner, Mariana Baltar. 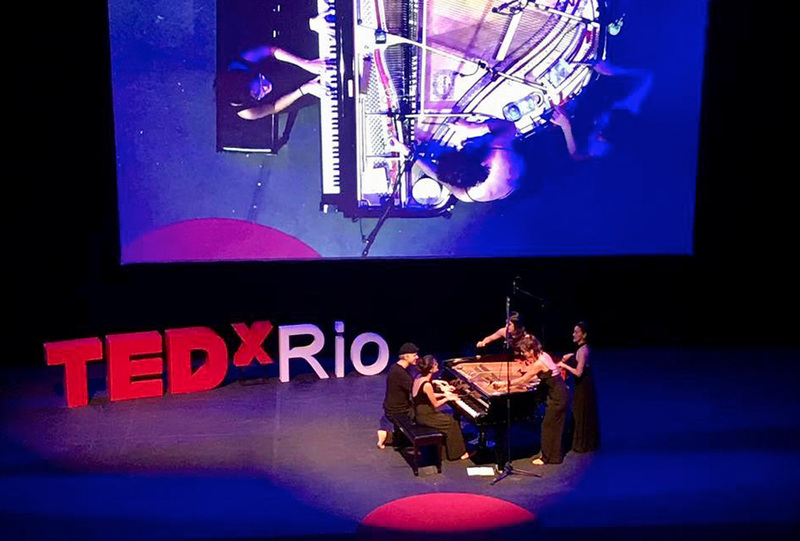 After a great success at Rio de Janeiro and São Paulo in 2007, sponsored by Petrobras, PianOrquestra launches its first DVD, an unprecedented record of ten hands making the piano their orchestra. The work is innovative and surprising for their musical and visual impact with the beautiful work of Claudio Dauelsberg, Késia Cleavage, Gisele Anne, Jadna Zimmermann and Claudia Castelo Branco. 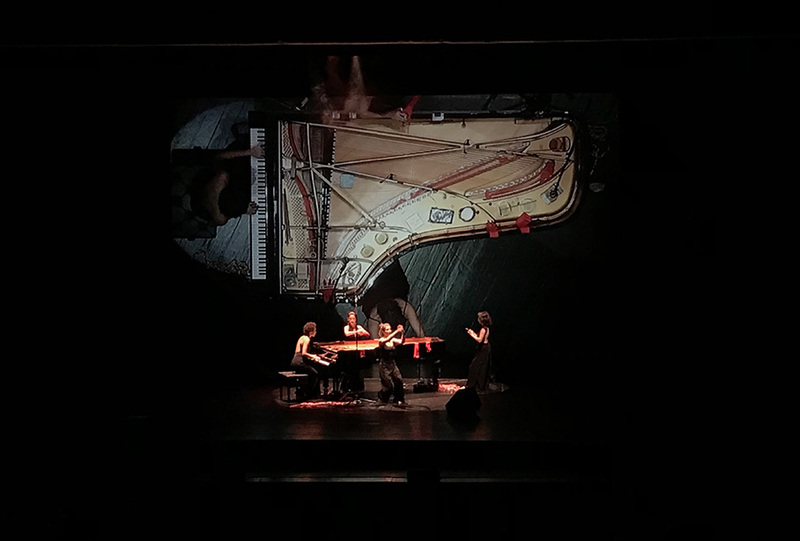 The PianOrquestra DVD introduces the viewer to the world of piano in a unique way. Also includes a “making off” containing interviews with musicians about the process of creation, preparation techniques, unique footage of recording and backstage moments. ** Arranjed by PianOrquestra under Claudio Dauelsberg’s direction.